College application season can be a big bag of mixed feelings. On one hand, the excitement of college and anticipation of a new adventure can feel liberating. On the other hand, thoughts of applications, exams, and acceptance rates swirling around your head can feel intimidating and downright daunting. 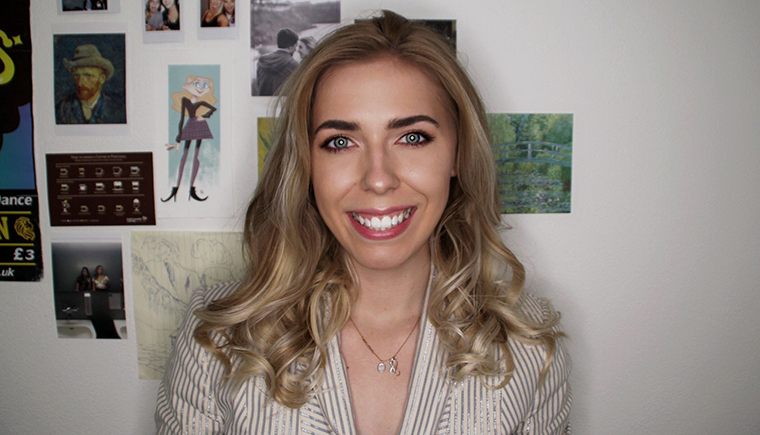 That’s why we’ve elicited the help and insight of Jessica Droujko, a mechanical engineering master’s student and vlogger who’s learned a thing or two about college admissions and is committed to sharing her knowledge and empowering students. While exam scores do contribute to college admissions, Jessica believes the personal statement can have a major impact on one’s application and likelihood for acceptance. Read on as Jessica shares what she’s learned about perfecting the personal statement. I wrote a personal statement that got me into one of the top technical universities in the world, despite having terrible GRE scores. Want to know how I did it? I went on a scavenger hunt across the Internet, reading any and every article I could find relating to writing a personal statement. But all the articles I found were thin and malnourished. I wanted a fat load of information! I wanted to find the Jabba the Hutt of articles. But you know what? I couldn't find my fat article friend. So, I had to spend hours doing research and drawing my own conclusions on how to write the perfect personal statement for my grad school applications. Lucky for you, I've written this article with the exact steps I took to write my personal statement! By the way, if you don't want to read this article, you can watch the YouTube video I made here. Writing a personal statement can be broken down into four parts: research, plan, write, and review. Only four steps? Easy! So, let's get into it. I'm sorry you feel that way. I'm also sorry/not sorry to inform you that this section is the single most important part of writing your personal statement. Why? Because how are you going to start writing a personal statement if you don't know what to write? Are you just going to sit down and start writing generic phrases like, “It's always been my dream to attend MIT” or “I knew Stanford was for me ever since I got the university sweater for Christmas when I was five”? And then you're going to send the same letter to every top university? No! You're not generic! You have hopes and dreams for your life! Now, we just need to effectively communicate those dreams onto paper. Let's say you're applying to MIT for mechanical engineering. Do you already know what field you want to study? No, “mechanical engineering” is not an answer. You need to be more specific. Start going through the different mechanical engineering fields. Do you want to work in control systems? Fluid mechanics? Structures and materials? You've decided you want to work in fluid mechanics. Great! Now go to the university's mechanical engineering department website and start looking at all of the professors and labs that classify under fluid mechanics. Found a few professors and/or labs that interest you? We're not done yet. Now try to find their latest research work and read a few of their papers—not the entire paper, just the abstract, intro, and conclusion. You can find papers produced by that lab by going to Google Scholar, searching the professor's name, and sorting by “date” to find the most recent papers. Now repeat for each university program that you're applying to. I want to do novel research in the biomedical field to find new and better ways for the hearing impaired to hear music. Prof. X at this institution has been pushing the boundaries in novel hearing aid technology. Specifically, his most recent work published in the Journal of Biomedical Research titled “A novel device that allows the hearing impaired to hear classical music” is exactly the type of device I would like to improve for future generations. 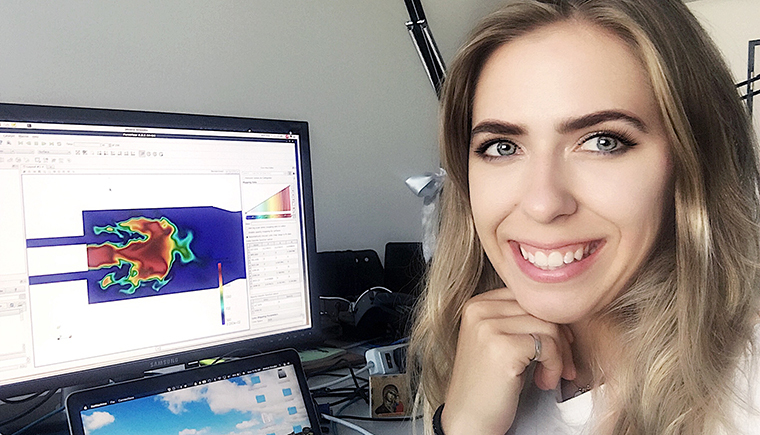 Jessica Droujko has a YouTube channel called STEMinine (STEM + feminine) dedicated to empowering young students. Why do you want to enroll in a master’s program? How will these program courses benefit you? What are you aspiring to be/do in your future career and how will this master’s program help you achieve those goals? How can your work contribute to the department, university, or society? What research have you conducted? What did you learn from it? What were the reasons for deciding to change your field of study? How will changing your direction of study help you with your future career? When answering these questions, you want to back up any claims with evidence. This is where you introduce your education, theses, projects, work experience, hobbies, and skills. Don't just say, “I'm a leader and work great in teams,” but show how you're a great leader and that you're good at working in teams. For example, maybe you can use your past research as an example of how you were able to use your leadership skills to achieve great results from your independent research project. Now that you know what you want to write, this section should be the easiest. There is no strict format for personal statements, but in general, they should have an introduction, body paragraphs, and a conclusion. Start with the body paragraphs. Take your answers in the previous section and form them together to create one cohesive story. The easiest thing to do here is reread your answers in the previous section and then just start writing—you can edit later. Once you've finished your body paragraphs, make sure you've implicitly mentioned why you want to study the specific program that you're applying to. Also make sure you brought up any notable research experience, projects, or past internships. Please note that I used the word “notable.” Don't start summarizing your entire CV, that's what a CV is for, just mention past experience that can be related to the topic you want to study. Finally, make sure you've answered any of the questions asked by the institution. Maybe they want to know any past research that you've done. Regarding the conclusion, it should be no more than three sentences. You don't need to reiterate everything in your statement; you have a limited amount of room, so don't waste it. Just pick a few key points that you want to reiterate and then finish writing. Finally, the introduction. Having a hook or a nice anecdote at the beginning is nice but not necessary. To think of an anecdote, start by answering the question: “Why do you want to study here?” Maybe your answer is “because I like the school.” Ask yourself why again. Your answer could be “because I like the fact that many of the students end up working at NASA.” Ask why again, and keep repeating this process until you find something tangible. If you can't think of a good anecdote, then just move on and introduce what you want to study and why. 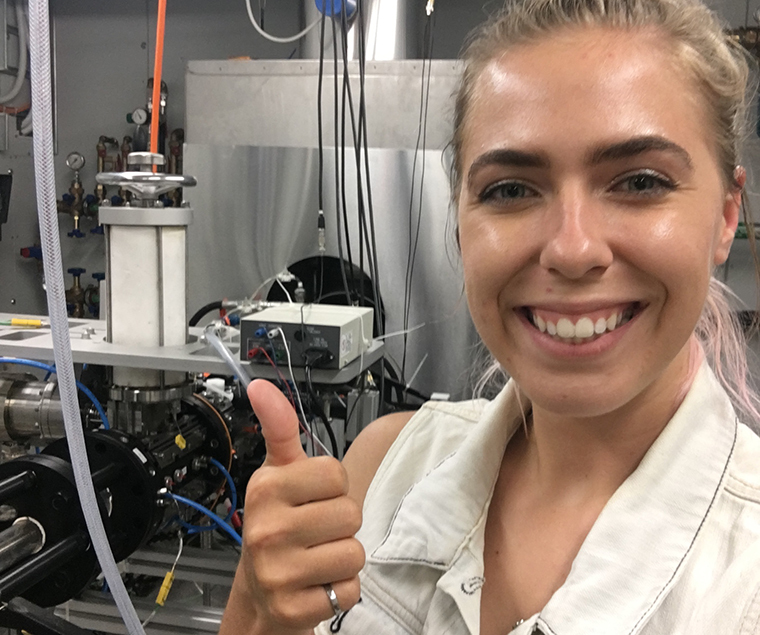 Jessica Droujko is a master’s student in mechanical engineering studying thermoacoustic coupling and turbulent flows. You're almost done! Now all you need to do is review your statement and try to convince some of your friends to read through it, too. To make the review process easier, I created a personal statement checklist that you can download. Basically, go through the checklist and make sure you apply the changes to your statement. If any of the points aren't clear, my podcast co-host, Elisabeth, and I dedicated an entire episode to explaining the checklist. So be sure to check it out if you need clarification. Below, you can watch my video on the subject. Bonus: I also go through the differences between a personal statement, a motivation letter, and a letter of intent. Jessica’s tips for writing a personal statement center around providing claims and evidence that you are committed to the mechanical engineering major. Taking a course series like our Mechanical Engineering Concept Bike Design can be a low-investment way to add credibility to that claim. Mechanical Engineering Concept Bike Design: This series takes students from an introduction to CAD to advanced CAD concepts, all while designing a “hubless” concept bike. The series also addresses important mechanical engineering concepts like rapid concept generation, modeling and prototyping, and problem solving. I'm a master’s student in mechanical engineering studying thermoacoustic coupling and turbulent flows. I have a YouTube channel called STEMinine (STEM + feminine) dedicated to empowering young students. I also make videos about studying abroad, graduate school, and engineering, and conducts interviews with other women in STEM.